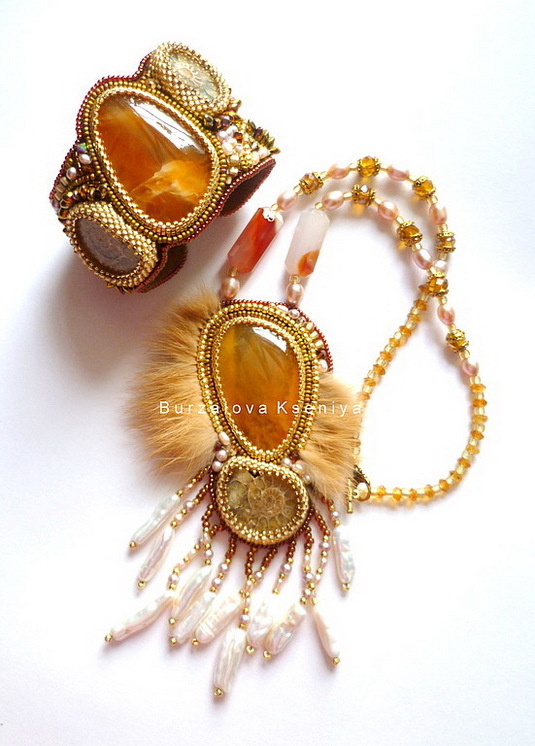 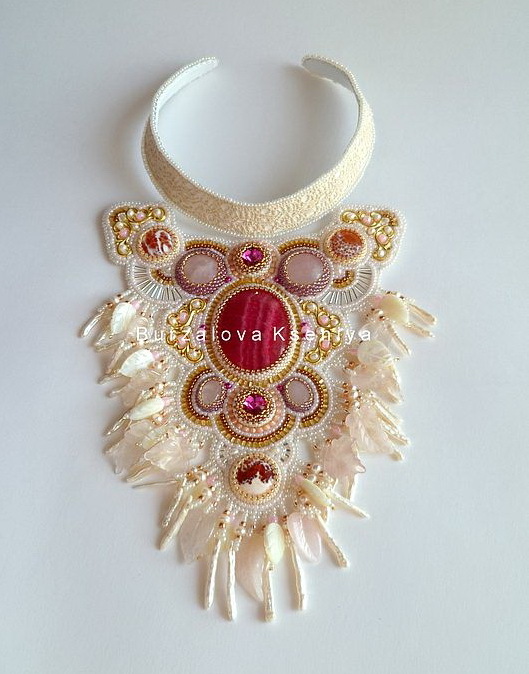 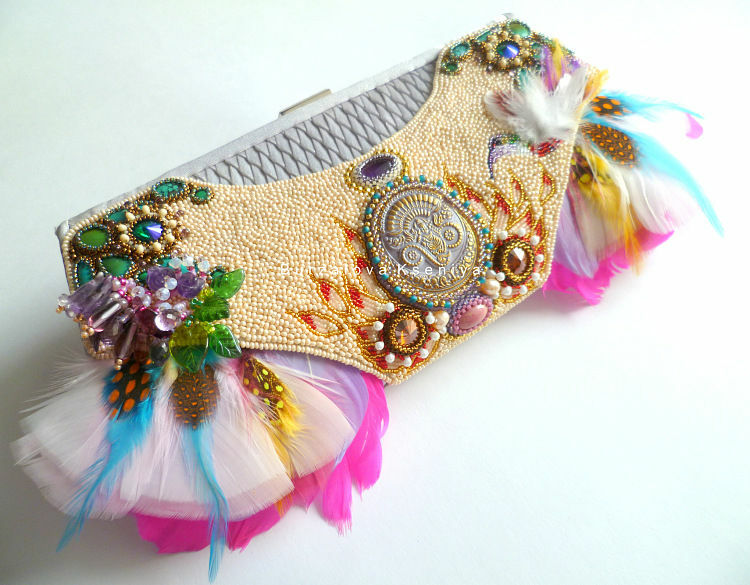 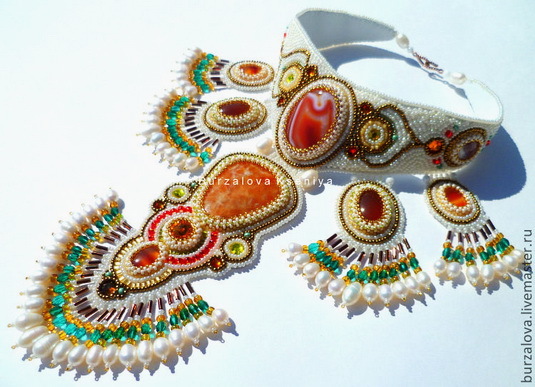 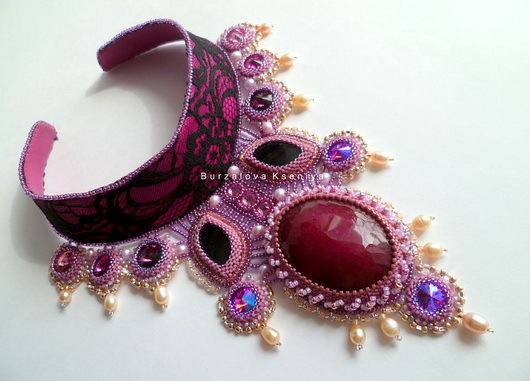 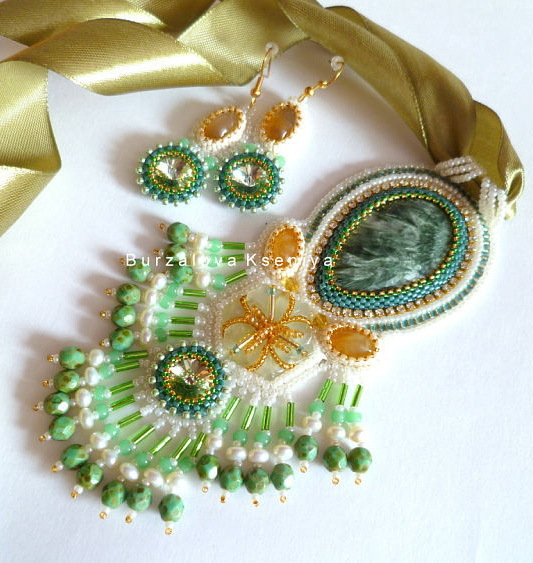 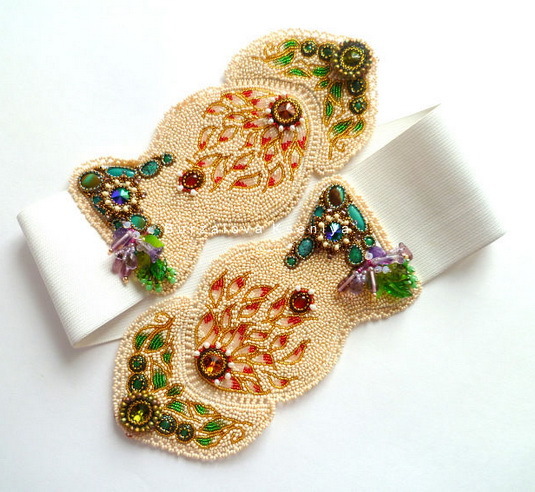 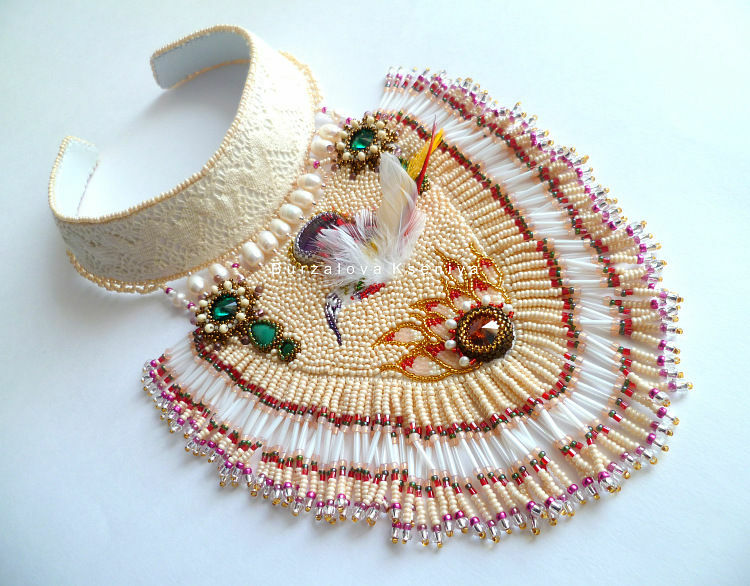 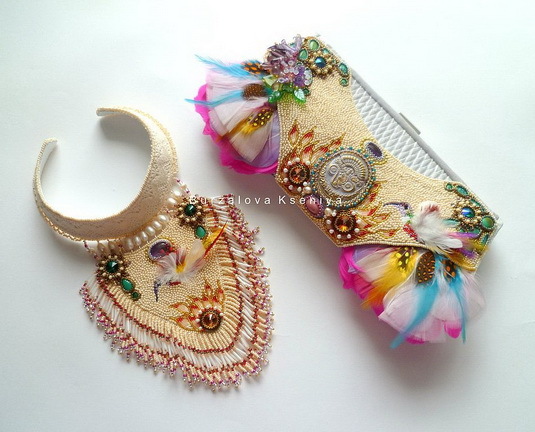 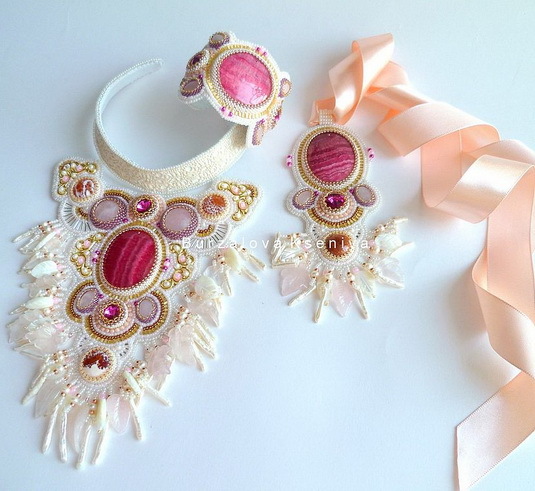 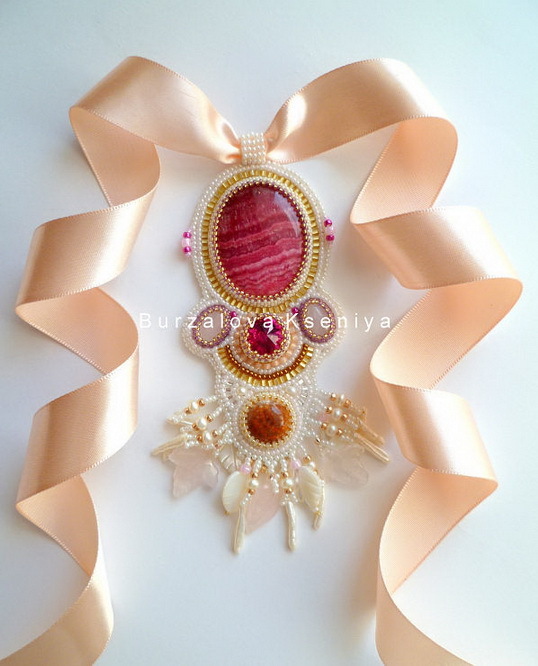 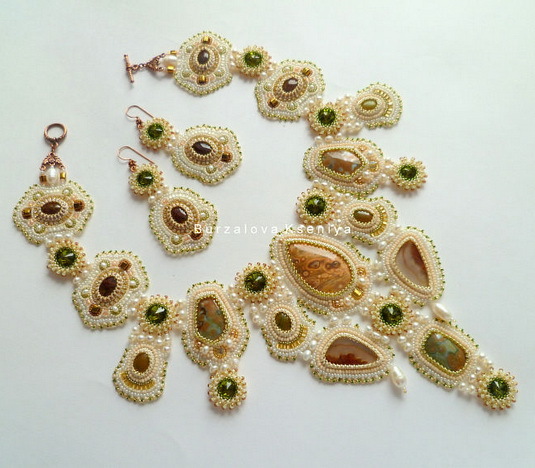 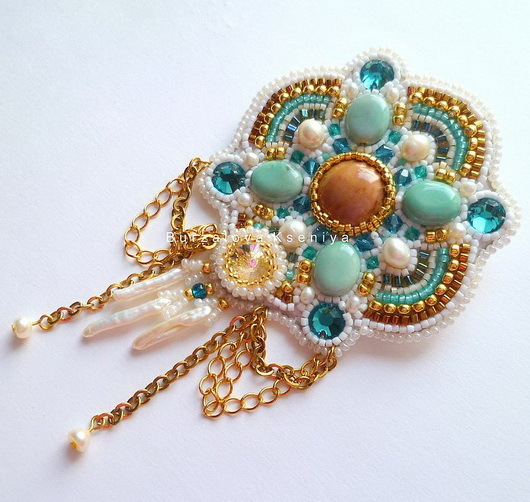 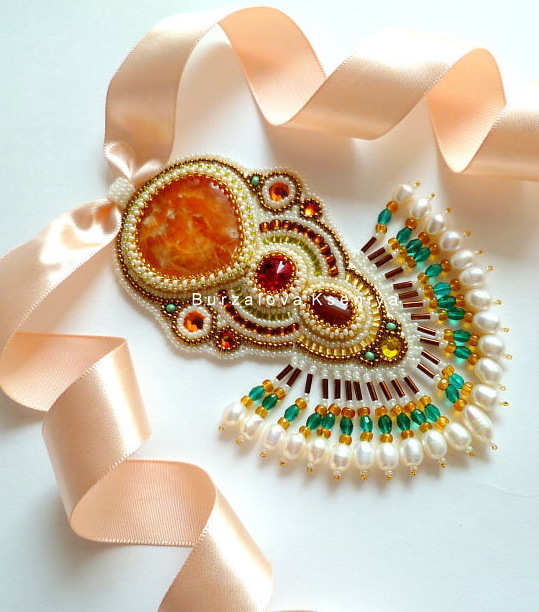 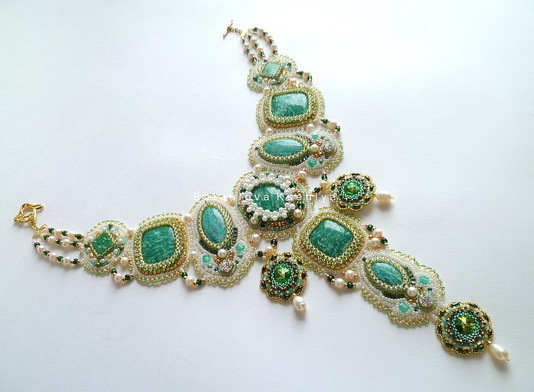 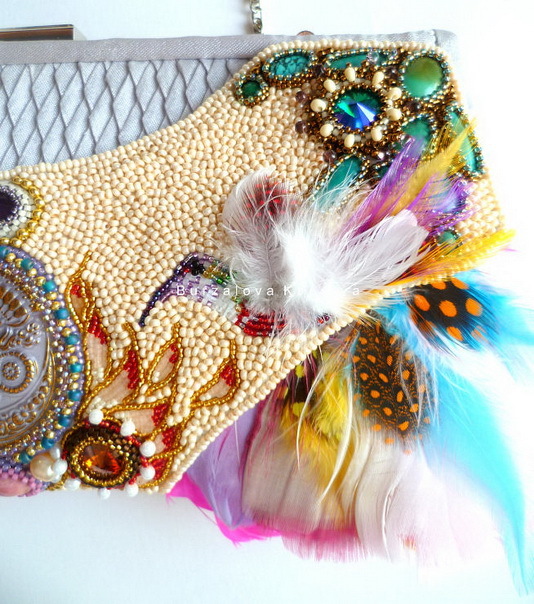 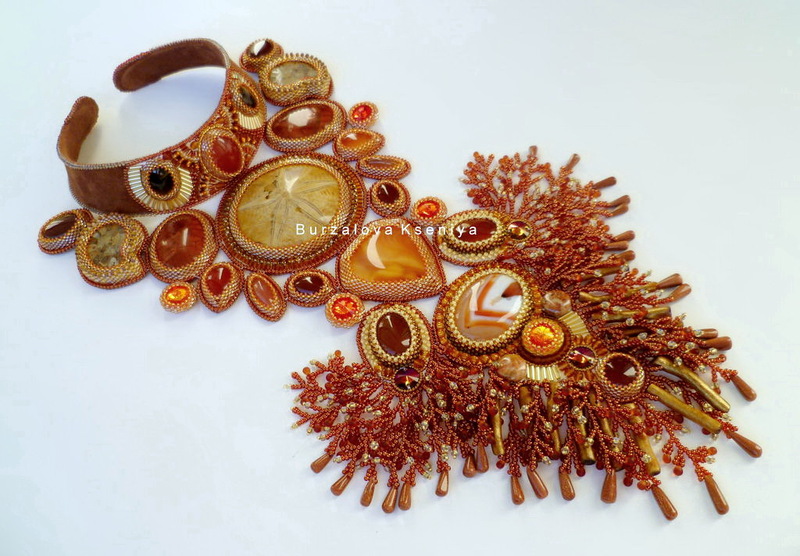 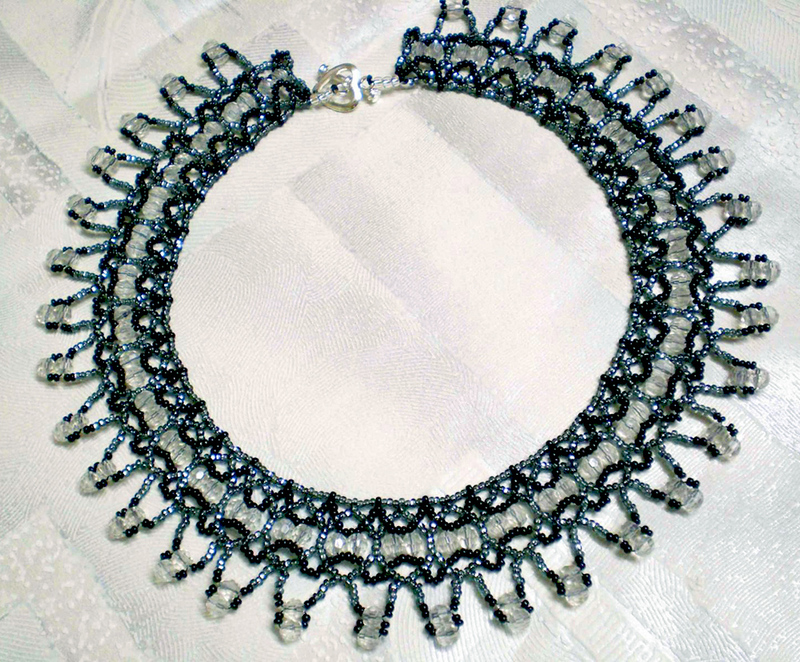 Ksenia Burzalova is russian beadwork artist. 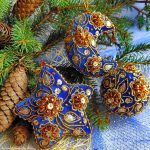 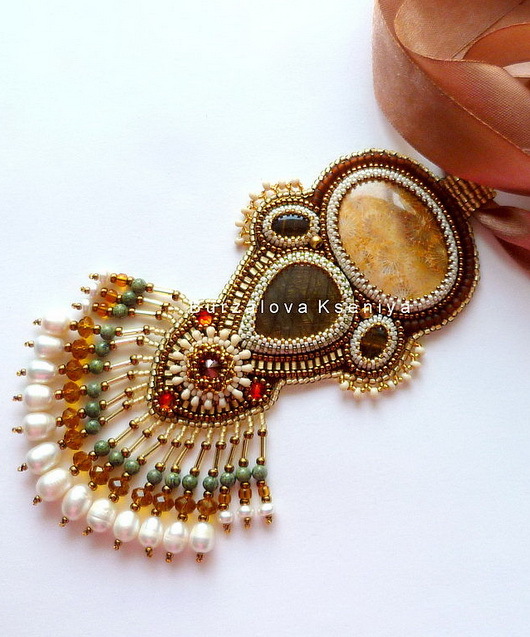 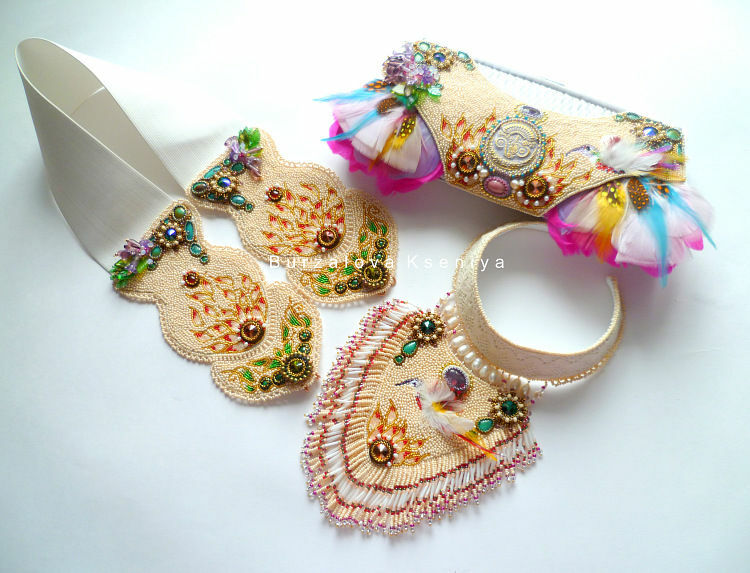 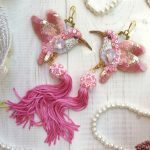 She make quit simple embroidered jewelry things but every piece has pretty charm and deep beauty. 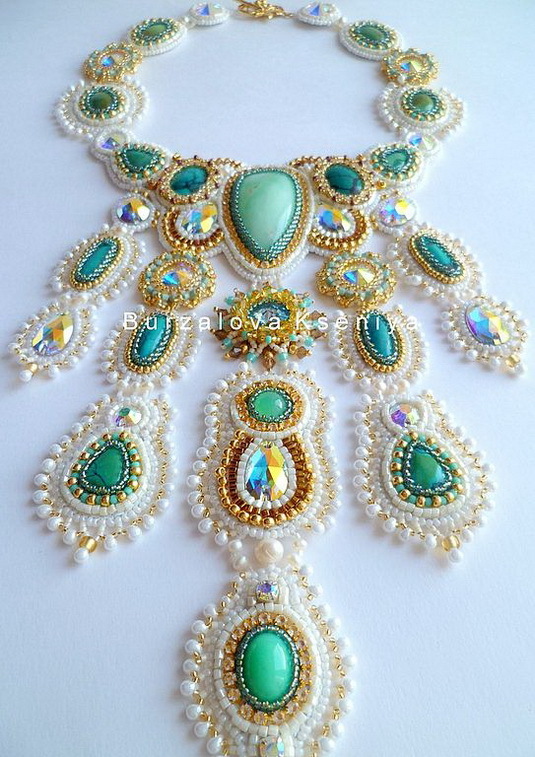 Oh my Goodness, these literally took my breath away! 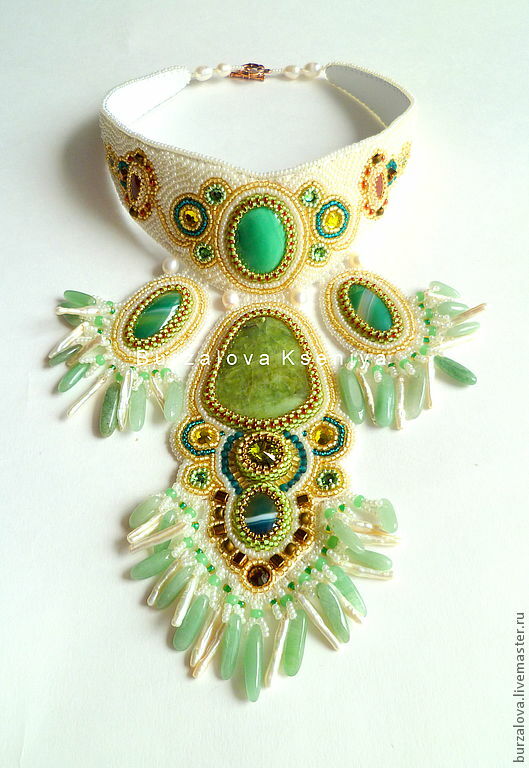 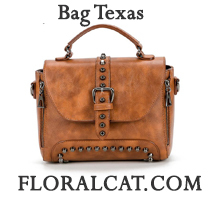 Beautiful does not say enough about these pieces. 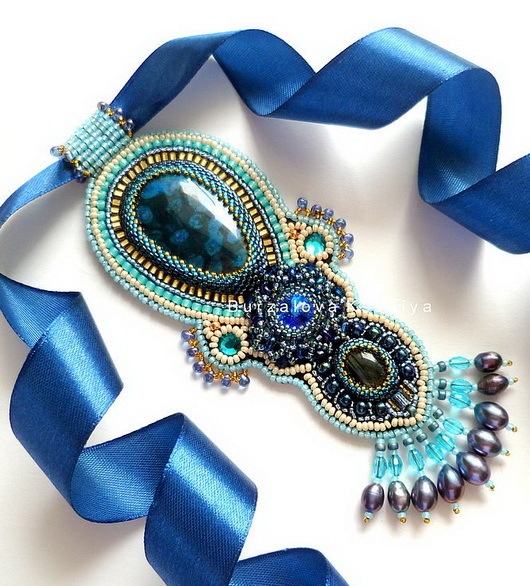 Beautifully woven accurate and professional. 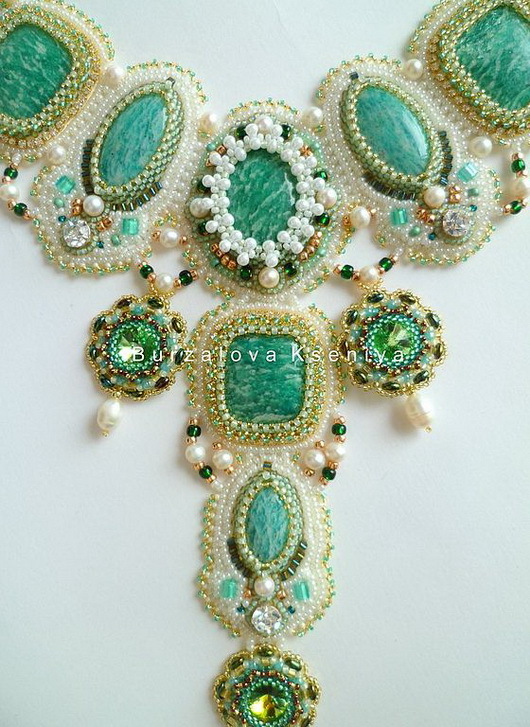 Work of an angel.True talent.I hope one day I am as half as good as this artist.Amazing.